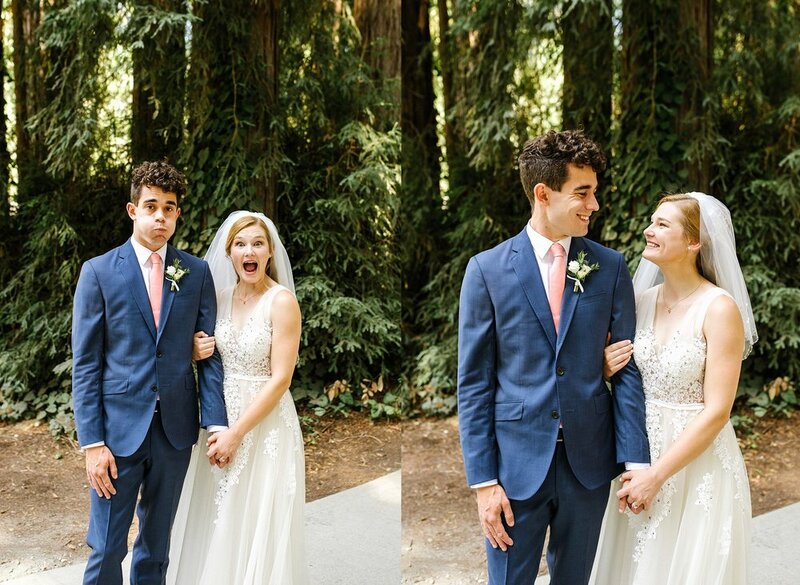 It may be a bit much to go from the sweet photo of them above to the games below to her dress, but I think it really paints the picture (wink) of their wedding. 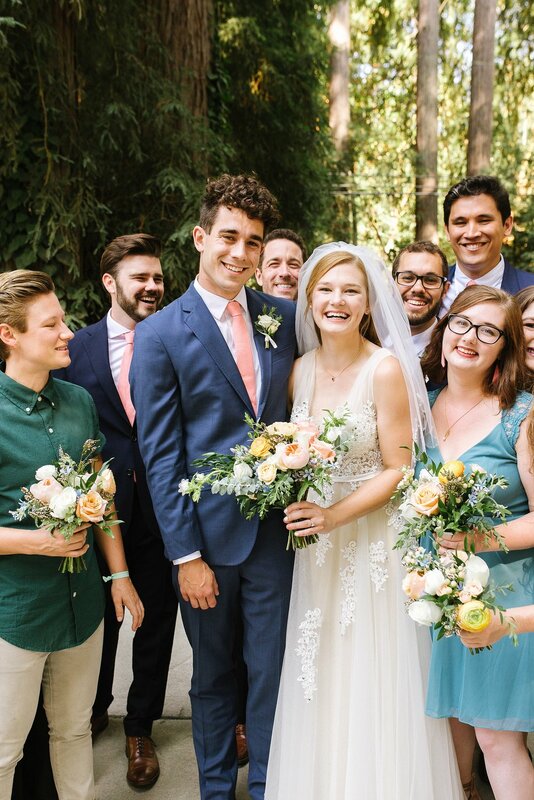 Really really sweet, emotional moments, but also being goofy with each other and their wedding SQUAD and really being themselves. They even had custom gold temporary tattoos for all their guests! You betchya I got one. Oh and one of the best parts was Erica’s dancing shoes! 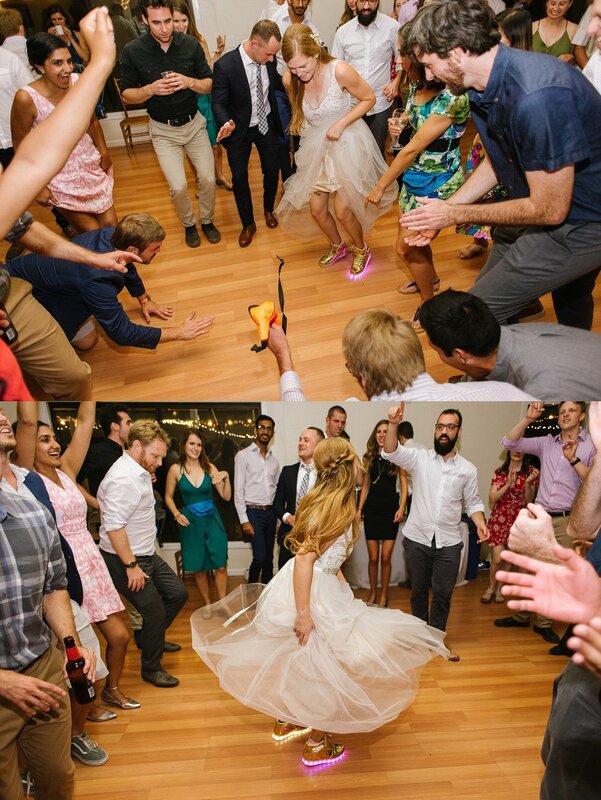 She 100% inspired me to also get lightup shoes for my wedding, which I proceeded to surprise Sean with. Check my insta for a few photos of the reveal. It was ahhhhmazing. 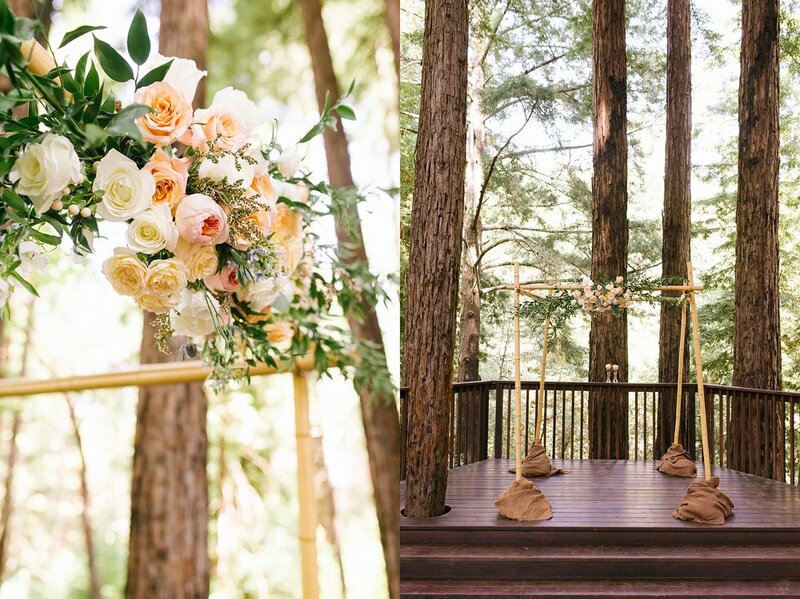 Okay, enjoy looking through the most fun wedding that was set among the Santa Cruz redwoods. Absolutely stunning! 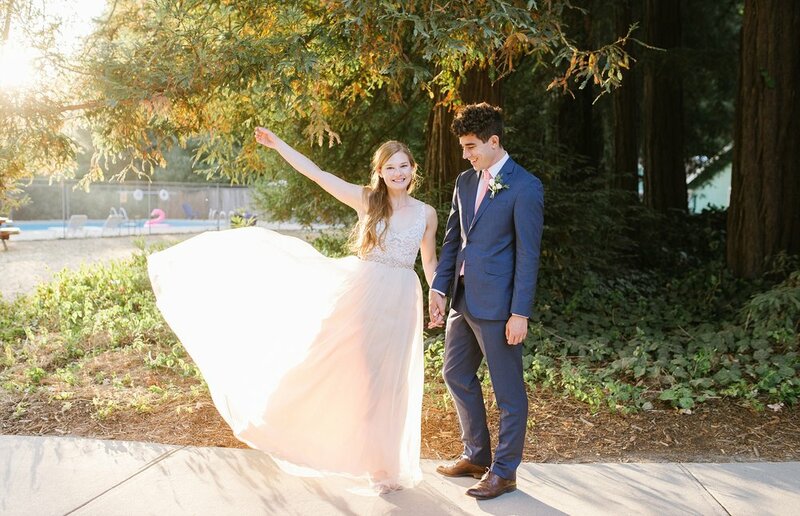 Erica and Riley, thank you so dang much for having me photograph your day!! Hugs hugs hugs. ^^ Fun story about this photo! 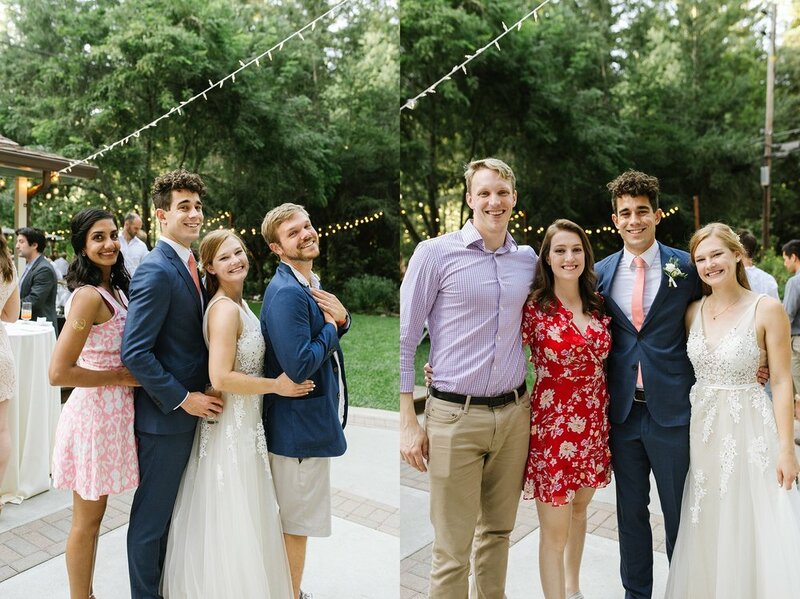 I met Erica + Riley from photographing Karishma + Danny's wedding and then the couple on the right introduced E+R to each other!